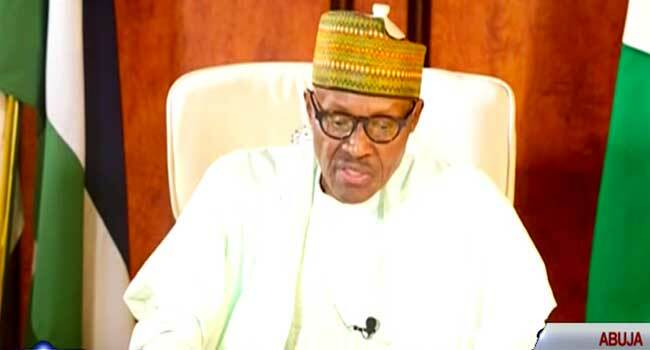 After 104 days outside Nigeria for Medical followup, President Muhammadu Buhari returned back to Nigeria on Saturday the 19th August and this Morning, Monday the 21st August Addressed the Nation on national television live broadcast on live streams online channels, NTA and other connected stations. The President in his speech, spoke about the unity of the Nation Nigeria, agitations, the war on boko haram and crime among other things. In the course of my stay in the United Kingdom, I have been kept in daily touch with events at home. Nigerians are robust and lively in discussing their affairs, but I was distressed to notice that some of the comments, especially in the social media have crossed our national red lines by daring to question our collective existence as a nation. This is a step too far. In 2003 after I joined partisan politics, the late Chief Emeka Ojukwu came and stayed as my guest in my hometown Daura. Over two days we discussed in great depth till late into the night and analyzed the problems of Nigeria. We both came to the conclusion that the country must remain one and united. Nigeria’s unity is settled and not negotiable. We shall not allow irresponsible elements to start trouble and when things get bad they run away and saddle others with the responsibility of bringing back order, if necessary with their blood. Every Nigerian has the right to live and pursue his business anywhere in Nigeria without let or hindrance. I believe the very vast majority of Nigerians share this view. This is not to deny that there are legitimate concerns. Every group has a grievance. But the beauty and attraction of a federation is that it allows different groups to air their grievances and work out a mode of co-existence. The National Assembly and the National Council of State are the legitimate and appropriate bodies for national discourse. The national consensus is that, it is better to live together than to live apart. Furthermore, I am charging the Security Agencies not to let the successes achieved in the last 18 months be a sign to relax. Terrorists and criminals must be fought and destroyed relentlessly so that the majority of us can live in peace and safety. I remain resolutely committed to ensuring that these goals are achieved and maintained. I am so glad to be home. Thank you and may God bless our dear Nation."